Since it was announced that President Barack Obama was going to be giving the commencement address for the 2009 graduating class of Notre Dame, the Vatican has been deafeningly silent. Close observers interpreted this silence as tacit approval of the Obama administration, and as a friendly opening for dialogue. This contrasted sharply with the outspokenness of a small group of Conservative Catholics (both among the laity and hierarchy) who have been against the President’s visit and the honorary degree the school was going to give him. Again, this was a small group, only 28% of Catholics, while half of Catholics approved of the President’s address and the remaining 22% not having an opinion either way. A recent poll also shows that 67% of Catholics approve of the way President Obama has run the country. Last November, 54% of Catholics voted for Barack Obama. Ah, but the Vatican has ended its silence, which might prove problematic for Conservative Catholics. Giuseppe Fiorentino, writing in the Vatican’s newspaper L’Osservatore Romano, has concluded that President Barack Obama has been a somewhat cautious leader, not the radical socialist Conservatives had portrayed him as. Fiorentino also cites Obama’s approaches to the economy and banking regulations, which have not been exactly bold; in other words, he has not used this as an opportunity to lead the U.S. towards socialism. Obama’s stance on so-called “life issues” has not been as “apocalyptic” as some U.S. Catholic leaders have suggested, according to the paper. “The new guidelines regarding research on embryonic stem cells do not in fact follow the change of course planned months ago. They do not allow the creation of new embryos for research purposes or therapeutic cloning for reproductive purposes, and federal funds may only be used for experimentation with redundant embryos,” Fiorentino writes. “The search for common ground seems to be the road chosen by the President of the United States, Barack Obama, to confront the sensitive abortion issue,” L’Osservatore says. Instead of confronting his opponents, Obama has shown that he wants to engage in a positive dialogue and find “common ground.” They are also heartened to hear that he does not intend to pursue ultra-liberal laws regarding abortion. The paper also noted President Obama’s intention to include a “conscience clause” in the Freedom of Choice Act, which would allow doctors who are morally opposed to abortion to refuse participation in abortion procedures. In addition to seeking dialogue, the President, Fiorentino writes, also wants to reduce the number of abortions, which includes a plan to facilitate the adoption process, and providing health care for women who do decide to keep their unborn child. This article has been yet another positive sign from the Vatican, following its early May issue entitled Obama in the White House: The Hundred Days the Didn’t Shake the World. One thousand three hundred sixty-one days separate Barack Obama from the end of his mandate. No one can know nor imagine what will happen in this time. In fact, many analysts describe the “occupation” of the president as a reactive one. Planned political strategy leaves the post — as the case of the Bush presidency after 11 September 2001 proves — to choices dictated by events. In another perspective, this 29 April marks a hundred days of the first African-American president in the White House, traditionally a much-awaited point for an initial assessment, however inevitably partial. But rivers of ink have already flowed over these weeks that, according to many commentators, they’ve signified a decisive turn from the past, a redefinition of the very image of the United States in the world. It might be that this capacity to communicate is one of the great traits of the president, recalling that of Franklin Delano Roosevelt. Like the architect of the New Deal, Obama utilizes the modern media — radio then, internet today — to spread the message of hope which the nation needs. The great crisis of 1929 can’t be compared to the current one. And still the imprint seems the same. So too the ability of shifting the attention of public opinion in a pragmatic and functional way. 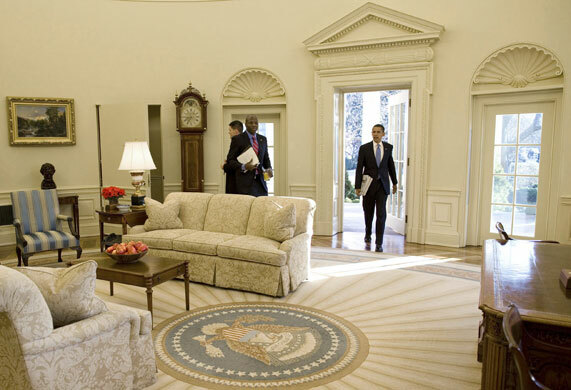 In these months Obama has seen his popularity grow only by having opened the doors to changes: he proposed direct negotiations with Iran to resolve the question of Tehran’s nuclear program and invited Russia to new discussions for the reduction of its strategic arsenals. Above all, he’s proposed a different role for the United States on the American continent, beginning to imagine new relations with Cuba. But in other and more concrete international scenarios, continuity in respect to the past is anything but compromised. Like in Iraq, where the administration is applying the exit strategy begun by Bush, and in Afghanistan. Here — Obama declared — is found the new front of the fight against terrorism. 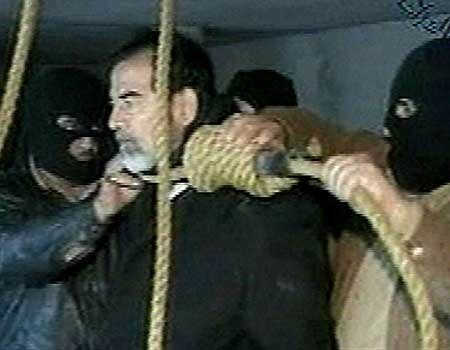 New only to a point, as it was in Afghanistan where the first US military intervention after September 11 took place. And not everything as a wish for discontinuity can be seen by the retention of Robert Gates at the helm of the Pentagon. Even when, opening to Cuba, he’s broken a taboo, Obama isn’t much moved from his predecessors in the request for tangible signs on the part of Havana. Similar evaluations can be made for the economic stimulus undertaken by the president. It’s been accused of excessive statism by some, if not placing the country on the path to socialism. A calmer analysis, however, notes that Obama moves with caution: very reluctant in the face of the nationalization of financial institutions, he opened the private sector to his plan to save credit institutions. Revealing, according to the International Herald Tribune, an unexpected similarity with Ronald Reagan, the president who placed a flag for the state’s retreat from the private sector. And much more statism revealed itself in the final months of the Bush-Paulson team with the partial nationalization of the titans of property lending, Fannie Mae and Freddie Mac. Even on ethical questions — which, from the electoral campaign, have been the forceful concern of the Catholic episcopate — Obama doesn’t seem to have confirmed the radical changes he had aired. The new guidelines regarding embryonic stem-cell research don’t, in fact, line up with the changes foreseen months ago. They don’t permit the creation of new embryos for purposes of research or therapy, for cloning or reproductive ends, and federal funds may be used solely for experimentation with surplus embryos. These don’t remove the motives for criticism in the face of unacceptable forms of bioengineering that contrast with the human identity of the embryo, but the new regulations are less permissive. A certain surprise has otherwise come about in these days through a bill designed by the Democratic party: the Pregnant Women Support Act would move to limit the number of abortions in the United States through initiatives of aid for distressed women. It’s not a negation of the doctrine until now expressed by Obama on matters of the interruption of pregnancy, but the legislative project could represent a rebalancing in support of motherhood. Signals of innovations in the Obama administration are undeniable. Above all on matters of the care of environment and in particular the partnership that seems born with Beijing. But maybe it’s early to talk of revolution or imbalance in judgment, whether positive or negative. These hundred days have not shaken the world. Better to await the next one thousand three hundred sixty-one. Thank you for your thoughts and prayers regarding our Dad Ted. As I am sure you have heard, Ted passed away on Friday May 15th, peacfully at home. Your article was very touching and really appreciated. Please feel free to contact us via email if you would like. Memorial Service will be on Thursday May 21, 2009 from 12:00 to 5:00 at the VFW Lodge on Battles. Just before my wife and I left, I gave Ted Zenich a tight hug and wished him a happy Easter. Ted, a large man, now in a wheelchair, did his best to hug me just as tightly. Before I could pull away, he weakly held onto my arm and said, “I still have some months. Don’t worry about me.” I smiled and nodded, hoping that he would have more time than that. As I walked away, I took one last look back at Ted. It broke my heart to see him in the state he was in. For as long as I had known him, and for all of the decades my family has known him, Ted was a strong, boisterous, and loving man. In the last year or so, Ted was diagnosed with Amyotrophic Lateral Sclerosis (ALS), or Lou Gehrigs disease. He has lost virtually all of his strength, forcing him into a wheelchair, making it impossible for him to feed himself, and quieting his once booming laugh. When I entered the home that Easter Sunday, I was not sure what to expect, but he recognized me. And, by the glimmer in his eyes, I could see that he was glad to see that I’d come to see him. He also was pretty happy to meet my wife Danielle, and, with some effort, he made sure to shake her hand. Clearly, his mind was still in great shape, despite his body’s betrayal. As my uncle and aunt spoke to Ted’s kids (with whom they had grown up), they exchanged stories about Ted from their childhood. There was a lot of laughter, moments of quiet reflection, and under it all was a strong sense of respect. Here was a man who, with his faithful wife Darla, raised their children, helped to raise their grandchildren, and, for all intents and purposes, were currently raising their great-grandchildren. He and his wife are at an age when most people start to take things a little slower, but Ted and Darla are strong people who take care of their family. All the stories shared on that day attested to that fact, even if the stories were somewhat colorful and grand. In Santa Maria, California, Ted is also an institution. Not only a strong supporter of fundraising efforts across the community, Ted is also a prominent local figure in the development of cheap and affordable housing. Since 1978, Ted has been on the Housing Authority board, and has been a vocal advocate for affordable housing in Santa Maria. In February 2007, on an empty 1.6 acre lot, construction began in earnest with a groundbreaking ceremony. By that point, there were 5,000 names on a waiting list. Clearly these homes were needed. But it had been an uphill battle since many in the community feared that affordable, low-income housing would bring an increase in crime, traffic, and lower home values in the surrounding areas. Nevertheless, the homes were approved by the city council, and by the beginning of 2008 the homes were built. “It’s something you can go to sleep at night and say you did something good for the county and city,” Zenich said at the time. He had been tireless in his efforts, knowing that he was doing something lasting and good for his community. And it is because of his efforts that the 24-home complex was named Ted Zenich Gardens in his honor. And despite the opposition to the homes, crime rates have not changed, niether has traffic, and the homes have actually increased property values in the surrounding area. The homes are quite beautiful, and they serve as a vital opportunity for those among us who are low-income, yet need a roof over their head. Thanks to Ted Zenich, they have that opportunity. And now, in the last week or so, Ted’s health has dramatically declined. It seems as though he is in his last days. It is a tragedy to see a man, especially in Santa Maria, who is so active in the community lose his life. Not only is it painful personally, painful for his family and mine, but it will be painful for a community that lacks leadership. So few people are willing to look beyond themselves and to the plight of others. I live in the Bible Belt of California, a pretty conservative area, yet I rarely see the kindness and community spirit from our Christian community– instead, I see selfishness and fear: fear of Mexicans and fear of the poor. In my next blog, I will write more on ALS, and I will keep my blog posted on the health of Ted Zenich. Please keep him in your thoughts and prayers. The Israeli/Palestinian conflict is the most misunderstood issue in modern times, yet it arguably evokes far more passionate and visceral emotions than most other issues. Misconceptions abound, but the claim that this is an ancient conflict is the most commonly heard. Most cite the Bible when they make the assertion: “When Yahweh, your God, has led you into the land you are entering to make it your own, many nations will fall before you… nations greater and stronger than you.” (Jerusalem Bible, Deuteronomy 7.1) Despite this rousing pronouncement (and similar ones found in the Old Testament), the conflict between Israel and the stateless Palestinians is a modern conflict, born out of renewed interest in Zionism at the turn of the twentieth century, exacerbated by confused policies and promises made by British imperialists, and intensified by the creation of the state of Israel in 1948. The Zionists, who promoted the creation of a Jewish state in Palestine, argued that they had historical ties to the land, which gave them the right to pursue statehood. They cited the Hebrew people, a pastoral people on-the-go, who were the descendents of Abraham (of Mesopotamia) and eventually settled on the land of Canaan (later known as Palestine). These were not a people who appeared to be of European descent—these were people with a dark complexion, a natural defense against the intense heat of the region. Around 1250 BCE, the Hebrews found a leader in Moses, who freed them from their enslavement by the Egyptians and guided them through the desert to the Sinai Peninsula (Ralph, 76). Yahweh spoke to Moses at the top of Mount Sinai, where Moses was told that the Hebrews would be Yahweh’s “chosen people” – so long as they obeyed him (Jerusalem Bible, Exodus 19.5). As Moses and his followers waited in Moab, after their arduous journey, Yahweh renewed his promise to the Hebrews that they would be victorious over the people of Canaan, and that the land they were promised would be “fertile” enough so that they would “never go hungry or ever be in need.” (Jerusalem Bible, Deuteronomy 8.7-10) Whether it was through God’s grace or the Hebrews’ diligence, they eventually conquered the land of Canaan and began to establish a Hebrew nation under the leadership of Saul, who was their King (Ralph, 76). Under Saul, the Hebrews were able to fight back the Philistines, but it was under King David, Saul’s successor in 1005 BCE, who made the greatest progress, eventually reducing them to a small area southwest of Canaan. After King David unified Canaan under his rule, he began constructing a grand capital at Jerusalem, a capital worthy of its people. That project would be completed under the reign of his son Solomon, who used slave labor from their northern neighbor Phoenicia. Though Solomon’s people tolerated his rule while he was alive, they immediately broke away from the unified Hebrew nation after his death and created their own kingdom (Ralph, 78). The formerly unified state then consisted of two separate kingdoms: the Kingdom of Israel and the Kingdom of Judah. Their split weakened the Hebrews and left them vulnerable to outside attacks; in 722 BCE, the Assyrians captured the Kingdom of Israel and laid waste to every major city; the Kingdom of Judah, though they fared better only nominally, eventually was captured by the Babylonians in 586 BCE (Ralph, 78). Despite these setbacks, the Judeans (henceforth referred to as the Jewish people) would return to the land. Over the next six hundred years, the land of Palestine, inhabited by Jews, was to be ruled by foreign powers. The Babylonians allowed the Jews to return to Palestine, where they enjoyed limited self-rule. However, the Babylonians soon lost that territory to the brash, albeit genius, King Alexander the Great of Greece; however, Alexander died at an early age. He was succeeded by several generations of Greeks, including Antiochus Epiphanes. In 168 BCE, Antiochus began a campaign of destruction, intended to wipe out the Jewish religion. However, the Jews defended their land and their faith by gaining control over Palestine, which they shortly lost in 63 BCE to Rome (Ralph, 80). Their efforts at revolt only succeeded in angering the Romans. After destroying Jerusalem and burning the Temple to the ground, the Romans gained total control over Palestine (Ralph, 80). Thus began the period of Diaspora for the Jewish people. However, both Arabs and Jews share a history that goes back to their Semitic roots in Mesopotamia. It should not be forgotten, as our nation is engaged in two conflicts in the Middle-East, that civilization was born out of Mesopotamia, or modern day Iraq. Out of this fledgling civilization came the invention of the wheel, the lunar calendar, a written language, documented history, and literature (Ralph, 30-31). It was out of this civilization that Abraham was born. As mentioned earlier, people of the Jewish faith claim to be descended from Abraham, a native of Mesopotamia from a region known as Sumer. However, Arabs also consider themselves to be descended from Abraham, because he fathered Ishmael; Ishmael, likewise, is believed by Arabs to be the father of Arabia. Nonetheless, both people originated from the same land, from the same people, and from a similar culture. To argue that these people were in conflict over the land and shared a hatred of one another denies the fact that they were both people living in times of great conflict. Nations were constantly in battle with one another for dominance and control, as evidenced by the number of times Palestine was conquered by various powers, as mentioned earlier. During the period of time that Palestine was under the thumb of Rome, for example, monotheism was required. Many were forced to embraced either Judaism or Christianity, further tightening their shared history in the region. After the death of Muhammad in 632 AD, Islam began to flower and spread across the Arabian Peninsula. As a military force, they conquered most of North Africa, parts of Spain, and most of the Old Roman Empire within a century’s time. In 638, Jerusalem also came under their control. Jews, who had previously been barred from entering Jerusalem, were allowed to return. The empires the Muslims defeated, such as the Byzantine and Persian empires, were exhausted from perpetual wars. Their populations, too, were tired of their old masters, and for the most part welcomed the fledgling Islamic empire (Ralph, 382). The new subjects of the Islamic empire, despite their religion, were treated with a fair amount of tolerance, especially compared to the way they were treated by their former masters. Accusations that the Muslim conquerors forced conversions are simply false; for the most part, many subjects converted voluntarily, but Islam was also a religion held dear to the Arab people, who were not eager to share it with non-Arabs. Other issues, such as taxation and local infrastructure, were favored by the subjects who felt overburdened by previous conquerors (Cleveland, 15). It would not be until 1453, when the Ottoman Empire captured the Byzantine capital Constantinople and renamed it Istanbul, that the Islamic empire would be recognized as a world power. The span of Islamic control over the Palestine lasted from 638 until 1922 (with exception to the brief period of time the Crusaders controlled Jerusalem from 1099-1187) (Ralph, 457). In short, the Arabs could also claim that they had long, historical ties to the land of Palestine. World War 1 saw the end of the Ottoman Empire and the rise of Arab nationalism in Palestine. The Ottoman Empire spanned three continents at the height of its power and it succeeded in advancing civilization for hundreds of years. However, the decline of the Ottomans represented the culmination of European economic dominance and control over the Ottoman raw materials and markets, which undermined their economy and military strength (Cleveland, 49). However, external influences were not entirely to blame: the Ottoman’s had suffered under incompetent leadership for quite some time, which left them unable to fend off European influence in their markets (Cleveland, 58). 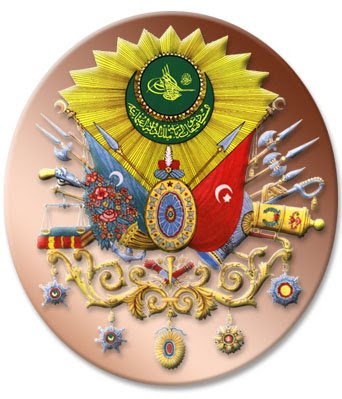 They also lost their ability to maintain a military advantage in technology over their opponents, but the most damaging loss was the insubordination and self-interest of the Janissaries, the Ottoman army (Cleveland, 57). That the Ottomans were able to fight throughout the war came as a surprise to European powers, however, their demise was all but certain, which is evidenced by the Sykes-Picot agreement made between 1915 and 1916. Britain and France planned to divide up the Middle-East, but they did not expect to encounter the passions of Arab nationalism, nor pressure from Zionists looking to re-establish themselves in Palestine. Ever since the Jews left Palestine, following the destruction of Jerusalem by the Romans, the Jewish people maintained the desire to return to their “Promised Land”. Theodore Herzl, with his publication of The Jewish State in 1896, launched the creation of political Zionism, which had the stated goal of creating a wholly distinct Jewish state. Herzl argued, quite forcefully, that anti-Semitism was so ingrained throughout the world that no law could undo the discrimination of governments and people against the Jewish people. So, Herzl demanded that “sovereignty be granted us over a portion of the globe large enough to satisfy the rightful requirements of a nation; the rest we shall manage for ourselves.” (Laqueur, 9) His zeal and passion galvanized the Jewish people in support of Zionism, which led to the first Zionist Congress in Basel (1897) where they adopted the goal of creating “a home in Palestine secured by public law.” (Laqueur, 10) However, Herzl died in 1904. His cause was continued by Chaim Weizmann, however, who was able to persuade many in the British government that a Jewish state in the Middle-East would benefit their long-term strategic interests in the region (Cleveland, 244). In 1917, Lord Rothschild received a letter from Arthur Balfour (Britain’s foreign secretary) which declared that the British government was in favor of the “establishment in Palestine of a National Home for the Jewish people.” (Laqueur, 16) However, this pledge contained one caveat: that “nothing shall be done which may prejudice the civil and religious rights of existing non-Jewish communities in Palestine.” (Laqueur, 16) This mixed message was but the first in a series of confused policies that would lead to conflict between the Jewish settlers and the native Arab population in Palestine. During World War 1, Britain and France (vis-à-vis a correspondence between Sir Mark Sykes and Charles Georges-Picot) planned to divide the Middle-East, while Britain was in simultaneous contact with Sherif Hussein (the Amir of Mecca) to allow the Arabs an independent state in exchange for their military support against the Ottoman Turks. Sherif Hussein, in a letter dated July 14, 1915, expressed the desire of Arabs to exercise their right to self-governance and independence, and he laid out several propositions, including: a proclamation from Great Britain acknowledging the creation of an Arab state, the right of Britain to have preference in economic enterprises, a military alliance, and a sunset provision for the agreement. 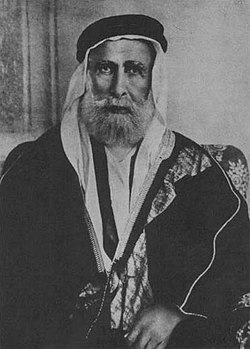 While McMahon’s initial response was tepid, due to ongoing negotiations with the French, in a subsequent letter McMahon did promise to support the “independence of the Arabs in all regions within the limits demanded by the Sherif of Mecca [Hussein].” (Laqueur, 22) Without question, the boundaries for the promised Arab state included Palestine. McMahon also promised in the letter to support the Arab state militarily and to “recognize their inviolability.” (Laqueur, 22) The British government clearly supported the rights of the Arab people to construct their own state, but, as aforementioned, within two years of that promise they also recognized the right of Zionists to create a Jewish state. Unfortunately, both the Arabs and the Zionists wanted the same land to be the site of their future state, and both had been guaranteed statehood on that land by the British government. It should be mentioned that the promise was first given to Hussein, on behalf of the Arab people living in Palestine. Shortly after the end of World War 1, Amir Feisal met with Zionist leader Chaim Weizmann to “(work) out the consummation of their national aspirations.” (Laqueur, 17) They agreed that the boundaries of an eventual Arab and Jewish state would be worked out by a Commission, and they also agreed that Jewish immigration into Palestine ought to be continued “on a large scale”, so long as it did not have a negative impact on the indigent Arab population. Religious freedom was another point of agreement between the two parties. In the event that they could not work out an agreement, they did, however, agree to refer the problem to Great Britain (Laqueur, 18). Amir Feisal concluded that the Zionists did not have designs on taking the whole of Palestine, and he reiterated that the Arabs and the Jews were “cousins in race” and as such they ought to be able to live as neighbors in “mutual goodwill.” (Laqueur, 19) Likewise, Felix Frankfurter, on behalf of the Zionists, acknowledged that the aspirations of the Arab people and the Jewish people “were parallel” and he welcomed the support of the Arab people. He also made a point of mentioning the great difficulty represented by their aspirations, but conceded that they could not “but live side by side as friends.” (Laqueur, 20) Though these words seem to convey optimism and partnership between the two communities, they were in for a reality check. As Jewish immigration into Palestine increased, the Arab population grew increasingly hostile to their presence and feared that they would lose their right to establish an Arab state in Palestine. Their concerns were based on the Balfour Declaration of 1917, which the Zionists pointed to as evidence that the British government supported turning all of Palestine into a Jewish state. To allay those concerns, Winston Churchill issued the 1922 White Paper, which rejected the notion that the British government intended to make “Palestine… ‘as Jewish as England is English’”. (Laqueur, 46) Churchill argued that all of Palestine should not belong to the Zionists, only that their national homeland should “be in Palestine” and that all the people in Palestine would share citizenship as Palestinians (Laqueur, 46). The Jewish people, he argued, already constituted a nation and as such had a right to exist in the land that they were historically bound to. Therefore, the immigration of Jews into Palestine ought to continue unfettered, in his view. Churchill went on, to the dismay of the Arabs, to deny that the Arabs were ever promised an independent Palestinian state, which is nothing short of a lie, since it is clear in the McMahon-Hussein correspondence that the military efforts of the Arabs would be exchanged for a guarantee of gradual statehood. In the final analysis, the White Paper was a confusing and convoluted document that attempted to sort out the various promises made to both the Arabs and Zionists, but it only succeeded in adding to the confusion. In 1920, the League of Nations assigned Britain control over Palestine through a Mandate, despite protests from the General Syrian Congress. The Mandate, which went into effect in September of 1923, outlined the rights of the British government in the administration of Palestine, while guiding the eventual self-determination of the Jewish people in Palestine. Article 11 outlined the rights of the Jews and the British government to “develop any of the natural resources of the country” for the benefit of the community (Laqueur, 33). It never mentioned that the Arabs should have an independent state, but it did lay out protections for freedom of religious exercise and from ethnic discrimination (Laqueur, 34). The General Syrian Congress in Damascus argued, before the Mandate was created, that they were ready for statehood, and therefore rejected the notion that they should exist under a mandatory power. This did not suit the imperialistic greed of the victorious nations following the war, so their complaint fell on deaf ears. They also, for the first time, rejected the ambitions of the Zionists, who clearly had every intention of creating a “commonwealth… (in) Palestine” and represented a “grave peril to (their) people from the national, economical, and political points of view.” (Laqueur, 29) From this Congress, the Arabs, who “shed so much blood in the cause of… liberty and independence,” posed a challenge to democratic nations to prove “their sincerity and noble sympathy with the aspiration of the weaker nations in general and (the) Arab people in particular.” (Laqueur, 29) This opposition should not have come as a surprise to Britain since the King-Crane Commission, which was established by President Woodrow Wilson in 1919, reported these sentiments of opposition and hostility to the Zionist movement and to Jewish immigration. The commission, upon meeting with Zionist leaders, discovered that the Jewish immigrants looked forward to “complete dispossession of the present non-Jewish communities in Palestine”. (Laqueur, 26) This admission, coupled with the near unanimous opposition to Jewish immigration among the Arabs, lead the commission to conclude that the goal of creating a Jewish commonwealth “should be given up” and that to create such a commonwealth would require a “force of arms… of not less than fifty thousand soldiers.” (Laqueur, 26-27) The commission also rejected the claim that the Jews had a “‘right’ to Palestine based on an occupation two thousand years ago.” (Laqueur, 27) Irregardless of the warnings, Britain went ahead with its Mandate to create a Jewish National Homeland. The Mandate period was marked by conflicting policies regarding Jewish immigration and spikes of violence, all of which forced the British to give up their interests in the region. Every policy change regarding Jewish immigration was met with Jewish disapproval, and was followed with British assurances that they did not intend to halt immigration, altogether. One of these assurances came from James Ramsay MacDonald, who wrote to Chaim Weizmann in order to “remove certain misconceptions and misunderstandings” about “his Majesty’s Government(‘s)” stance toward Palestine. MacDonald, a Zionist sympathizer, promised Weizmann that Jewish immigration and procurement of land should continue, so long as it did not create a burden for the non-Jewish inhabitants of Palestine, as stated in the Balfour Declaration (Laqueur, 54). By 1936, opposition to the Zionists had become so violent that the British government appointed a commission, headed by Lord Peel, to investigate the root causes of the violence. They found that the “forcible conversion of Palestine into a Jewish State against the will of the Arabs” was the underlying cause of the Arab riots. The Peel Commission, therefore, suggested a partition plan, since neither Jew nor Arab would have “any sense of service to a single state.” (Laqueur, 58) This conclusion received condemnations from the Arab and Jewish communities, as well as a subsequent commission set-up to determine the viability of a partition plan. This commission (created in 1938) found that it was “impractical” to determine boundaries for either an Arab or Jewish homeland, therefore, they argued, “the surest foundation for peace and progress in Palestine would be an understanding between the Arabs and the Jews,” which could be expedited by a meeting of Arab and Jews in London, where they could come to an agreement over future policies in Palestine (Laqueur, 63). Because these negotiations failed, and because the British government was more concerned with Nazi Germany, the White Paper of 1939 was issued. This White Paper conceded to the Arabs on a number of issues, such as immigration. The British government also conceded that much of the unrest in Palestine was a result of the ambiguities contained in previous policies and pronouncements (Laqueur, 65). The White Paper stated, unequivocally, that all of Palestine was not to be reserved for a Jewish Homeland; instead, that all of Palestine should be a state “in which the two peoples in Palestine, Arabs and Jews, share authority in government in such a way that the essential interests of each are secured.” (Laqueur, 68) This goal, they believed, could be met within ten years. The White Paper also contained provisions concerning religious freedom, protection of Holy sites, and it also restricted Jewish immigration to five years, allowing 15,000 Jews per year. This Paper met with fierce Jewish opposition and accusations that the British government had caved in to terrorism (Laqueur, 76). The Jewish agency threatened violence against “British policy” in defense of their “Jewish home and Jewish freedom.” (Laqueur, 77) This policy came at a time when Jews were fleeing Hitler’s grasp in Eastern Europe and were finding a safe haven in Palestine. Ben-Gurion famously declared, “We shall fight with Great Britain in this war as though there was no White Paper, and we shall fight the White Paper as though there was no war.” (Cleveland, 260) As Britain engaged itself in World War 2, the Middle-East conflict took a backseat to the Empire’s struggle to survive. Having been granted oversight of the Palestine Mandate, the UN immediately began to look for the underlying causes of the unrest. Its first step was to assign a commission, as though there had not been enough commissions and studies over the previous 30 years. They concluded that the best solution was to partition Palestine into an Arab state, a Jewish state, with an international zone in Jerusalem. Each state would have to have an approved constitution and declare that they would establish an “economic union of Palestine.” (Laqueur, 110) The UN General Assembly set a date for withdrawal of British forces—August 1, 1948—after which the Jews and Arabs would be able to proclaim their independence. The UN laid out, in great detail, the form of government that each state would be required to have, which included democratic provisions and rights for minorities. Also, as a subtext to the UN’s role, there was a tremendous amount of sympathy for the Jewish people, who had suffered horrendously during the Holocaust. In many ways, the powerful nations had feelings of guilt for either indifference or failing to understand the extent of Hitler’s destruction (Gendzier, 13). Nonetheless, the UN had done what the British Mandate had failed to do by creating conditions in which the Arab and Jewish communities could realize their aspirations for statehood. Unfortunately, the conflict was not over, by any means. By spring 1948, 400,000 Palestinians had fled the country after hearing news of the massacre of Dayr Yassin. The Irgun had massacred 250 Arab civilians (Cleveland, 266). This would trigger a series of retaliatory strikes, which would continue until present time. This is not an ancient conflict, but an all too modern conflict that is the direct result of the British government’s failure to bring a solution to the Palestine question. As detailed at the outset, both Jews and Arabs have historical ties to the land of Palestine; even more importantly, they share ethnic origins in Mesopotamia. However, while the Jewish people went into Diaspora, following the Roman destruction of Jerusalem, the Arab people remained and eventually, under the fledgling Islamic empire and throughout the Ottoman Empire, controlled Palestine for nearly 1,400 years. As the Feisal-Weizmann agreement demonstrates, the Arabs were willing to live side-by-side with the Jewish settlers in “mutual goodwill”. However, it became increasingly apparent to the Arabs that the Jewish settlers intended to take all of Palestine and make it “as Jewish as England is English.” The Arabs were vocal and clear in their opposition to this ambition, while supporting their own ambitions for statehood. In the end, the inability of the British to uphold the will of the majority and the subsequent failure of the UN to help create an Arab state or to solve the refugee problem, resulted in a perpetual and violent struggle for Palestinians to realize self-determination. 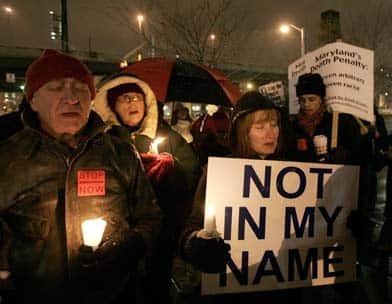 Now that the world is in a post-9/11 mindset, and we face Islamic extremists who cite the Arab struggle against Israel as their primary motivation for hatred against the U.S., it is even more urgent that this conflict be resolved, not only for our own security, but for the very fact that this conflict represents the failure of democratic societies to facilitate self-determination for all people who desire it. There is no reason why these two people cannot co-exist peaceably on the land they both consider home. Cleveland, William L. A History of the Modern Middle East. 3rd ed. Boulder, 2004. Gendzier, Irene. “Palestine and Israel: The Bi-National Idea.” Journal of Palestine Winter 1975: 12-35. Jones, Alexander. The Jerusalem Bible: Reader’s Edition. New York: Doubleday, 1999. Laqueur, Walter and Barry Rubin, eds. The Israel-Arab Reader. New York: Penguin Books, 1968. Ralph, Phillip Lee, et al. World Civilizations. 9th ed. New York: W.W. Norton & Company, 1997.